Black necklace. 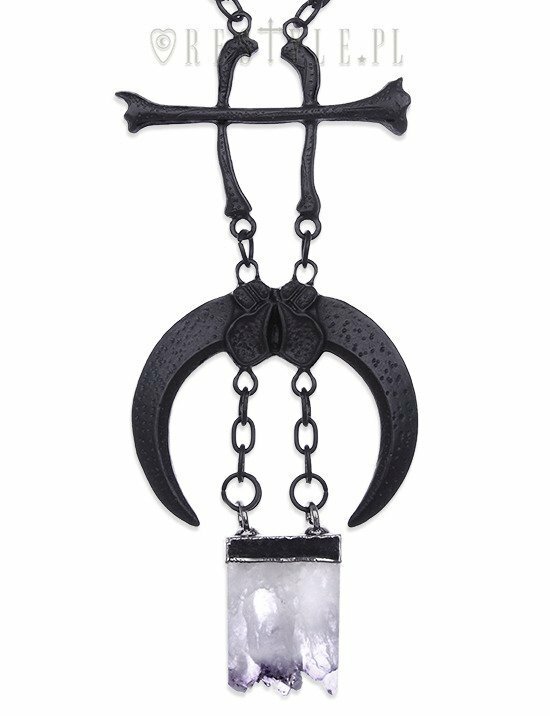 clear quartz crystal, moon, Occult jewellery "CLAWS & BONES BLACK NECKLACE"
Pendant presents crescent made of raven's claws. The top part of earrings is made in the shape of tibia bones. Below there is a clear quartz in unregular shape. Please note that crystal shape is unique in every piece. Jewellery is in matte black color with grunge texture. Every piece of Restyle jewellery is compatible with EU law and it's safe for your skin.